Shah Rukh Khan believes the greatest of love stories are made by directors who are sensitive and understand women's perspective about romance. The actor, who is often called the 'king of romance' in Bollywood, says most of his romantic films -- 'Dilwale Dulhaniya Le Jayege', 'Dil Toh Paagal Hai' or 'Kuch Kuch Hota Hai' -- were made by men who lived romance. Citing the examples of directors like Yash Chopra, Aditya Chopra and Karan Johar, Shah Rukh says, "They've seen it from the perspective of what a woman wants and they embody that in the characters I play. I am not the forbidden lover, it's actually the desire to have this." While Shah Rukh does not consider himself a romantic person, he says he collaborates with only those directors who have utmost respect for the genre. In an interview with PTI, the actor says Imtiaz Ali had earlier approached him with the idea of a man "trying to commit suicide" but he instantly dismissed that and asked for a "happier story", giving birth to 'Jab Harry Met Sejal'. "I haven't seen Imtiaz's films, to be honest, but when I met him, I found him extremely gentle and sensitive. Amongst the people I had worked with earlier, it was the same quality that Yash ji, Adi, Karan (had). They are personally very different but also very sensitive." Shah Rukh recalls how a popular director once approached him to do a love story, which the actor turned down. "I really believed the director wasn't sensitive enough, he just wanted to do a love story. You don't just do a love story; you make it, feel it, live it. And I think Imtiaz is like that. I may not be romantic, but I am extremely sensitive. "To me, it can't be a person with lesser level of sensitivity directing me in a love story. I find Imtiaz sensitive, dignified. These are not filmmaking qualities, these are personal qualities which translate into your films or acting." The actor says he meets people who say that it would be difficult to be like his characters in real life, but that is not unattainable. "Everyday I meet at least five people who tell me, 'You spoilt our life, we can't be like you'. My answer to them would be, 'It wouldn't be so spoilt if you just asked your woman what she wants. You never took the time to ask her'." 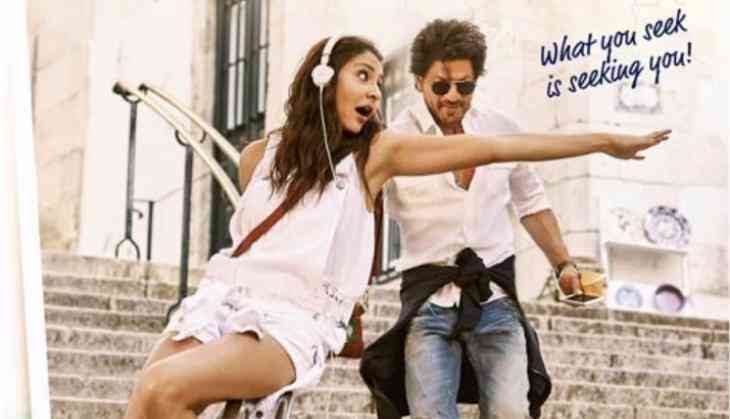 'Jab Harry Met Sejal', also starring Anushka Sharma, is scheduled to release on August 4. READ NEXT >> Linkin Park's front-man: cause of death revealed!